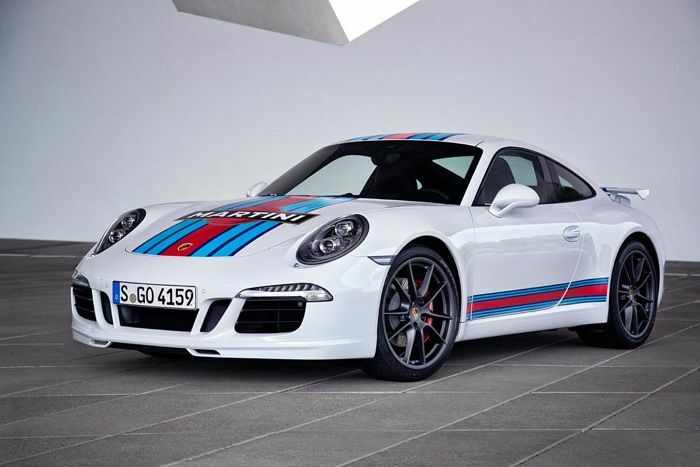 Porsche has announced a new limited edition of the Porsche 911 S, the vehicle is being launched to coincide with the 2014 Le Mans race, and it will be called the Porsche 911 S Martini Racing Edition. 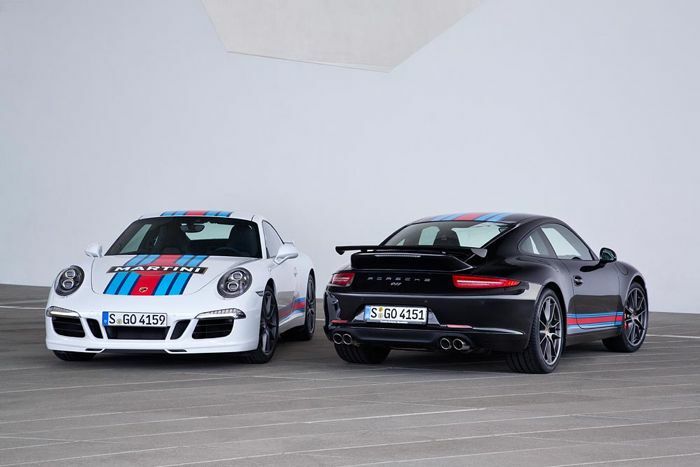 The Porsche 911 S Martini Racing Edition will be limited to just 80 cars, and it will be sold in selected countries in Europe, Japan, China and Latin America. The “Martini Racing Edition” of the 911 Carrera S is available in the monochrome body colours white and black. The boot lid, roof section, rear wing and vehicle’s sides are accentuated by the “Martini Racing Design” decor set with the characteristic blue-red Martini colour pattern. The special front apron of the Aerokit Cup has an optimised spoiler lip which gives the vehicle an even more distinctive appearance. The aerodynamic counterpart is the fixed rear spoiler of the Aerokit Cup, which rounds out the car’s sporty look. 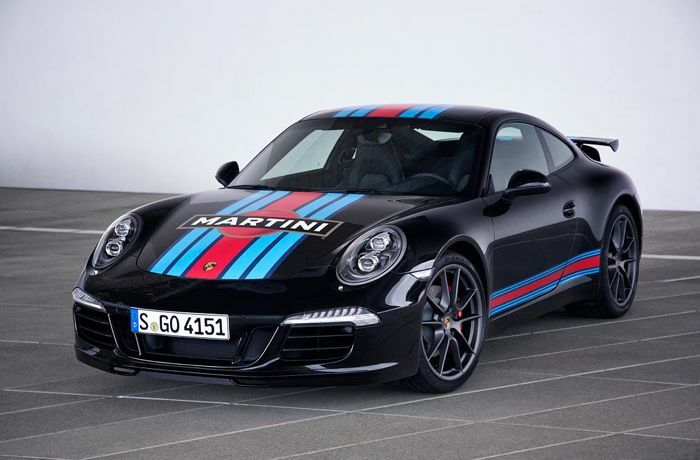 The new limited edition Porsche 911 S Martini Racing comes with a 3.8 litre flat six cylinder engine that has 400 HP, and can travel from 0 to 100KM/h in just 4.1 seconds, this is for the PDK model with the automatic gearbox and the Sport Plus button. Porsche have said that this new limited edition 911 S will go on sale in the UK, Spain, Italy, the Netherlands, Ukraine, Czech Republic, Cyprus, Finland in August. It will also launch in China, Japan and Latin America in October. As yet there are no details on how much this limited edition 911 will retail for, you can find out more details over at Porsche at the link below.